How Did Socialist Mayors Impact Milwaukee? Milwaukee was known for its socialist mayors in the 1900s. WUWM's Ann-Elise Henzl reports. This piece originally aired June 24, 2016. Editor's note: This piece was originally published June 24, 2016. As thousands of delegates, reporters and other visitors prepare to descend on Milwaukee for the 2020 Democratic National Convention, many might be intrigued by the city's interesting political history. The piece includes portions of an interview with Anita Zeidler, who has since passed away. This week's Bubbler Talk inquiry comes from listener Brad Lichtenstein: "Besides the lakefront, what else did socialist mayors do for Milwaukee?" UW-Milwaukee historian Aims McGuinness met Lichtenstein and WUWM's Ann-Elise Henzl at the lakefront custard stand to share the backstory. He says the area was part of a massive public works project, which was completed in 1929. "Up until that point, this most precious part of the lakefront was the preserve of the richest people in the city, and you can still see some of their mansions up on the hill. Socialists said, 'well, we're just going to build a new lakefront into the lake and create all this public space,' " McGuinness says. Not only did Milwaukee's socialists fill in part of the lake to create more public access, they also cleaned up city government. It had a bad reputation in the early 1900s, before the socialists stepped in, according to Milwaukee historian John Gurda. David Rose for Mayor poster. 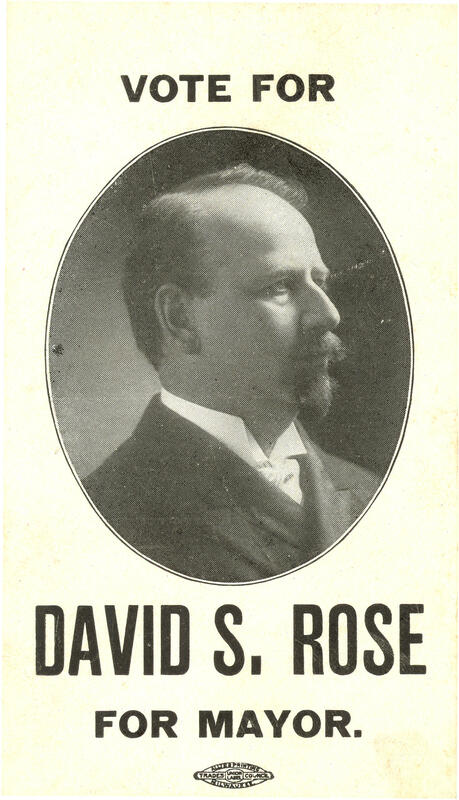 "There was a mayor named David Rose, whose nickname was 'All the Time Rosie.' He said he 'loved to see his people at play and happy.' On his watch, he had prostitution, all-night saloons, gambling dens flourishing in the shadow of City Hall, literally. So, he ran kind of a wide-open town," Gurda says. Voters ushered in the new era by electing Emil Seidel, the city’s first socialist mayor, in 1910. He served one two-year term. 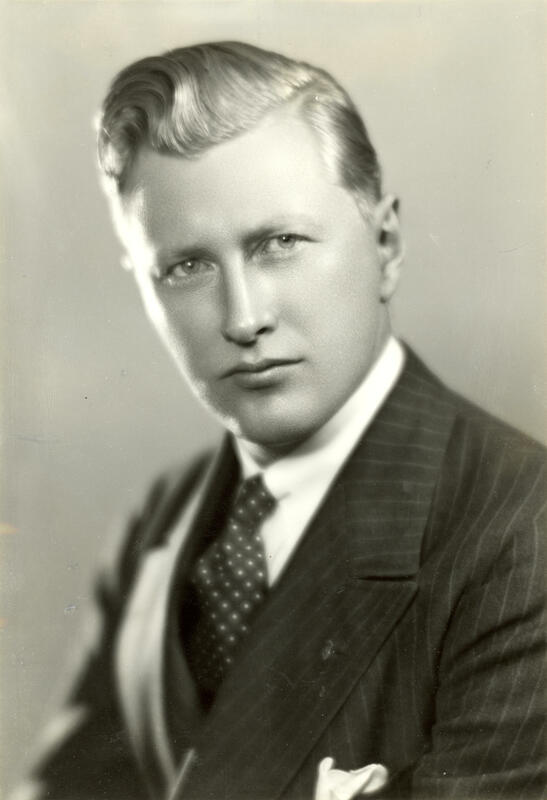 The second was Dan Hoan, for whom the bridge is named. He was elected in 1916 and served for 24 years. Gurda says the mayors and some socialist aldermen approved programs benefitting all citizens. "Everything from public housing to public ports, to public health departments. 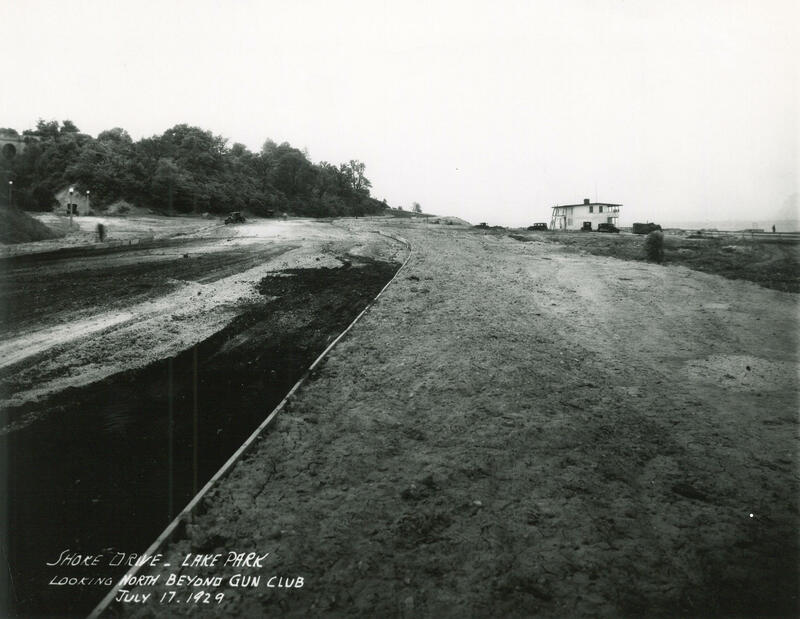 They were called the 'Sewer Socialists,' because they wanted to have an infrastructure that wouldn't poison people with contaminated water," Gurda says. At the time, socialists made inroads elsewhere in the United States. But Kevin Abing of the Milwaukee County Historical Society says the ideology had special appeal here. "Milwaukee was known as the 'Machine Shop of the World.' There was just this huge population of mostly ethnic workers who were laboring in the factories for pennies. Working conditions weren't always the best. They definitely were interested in improving the status of the working class," Abing says. Carl Zeidler was mayor of Milwaukee from 1940 to 1942. Beginning in the 1930s, interest in Socialism dwindled, as the Democratic Party grew more liberal and attracted labor unions and others who had backed socialists. And when voters elected Frank Zeidler in 1948 — the city’s third and final socialist mayor — it wasn't because of his party affiliation. That's according to his daughter, Anita. She says her father won, in part, because he had name recognition; his brother Carl was a previous mayor, who was lost at sea in World War II. Anita also says her father had a strong record of community service and had built a broad base of support. Even so, she says critics tried to keep him from getting elected. "There were really ugly attacks about my dad as being a communist and wanting to take over all private business," Anita Zeidler says. Anita says her father fought back by showing just how "normal" he was. She remembers a photo taken during his first race, of the family strolling down the street. "There were six of us children and four of us were capable of walking, and the baby, my mother was carrying, and my dad was carrying the two-year-old. That apparently said to people, 'this guy is not dangerous.' My dad always thought that was the photo that got him elected," Anita Zeidler says. Question asker Brad Lichtenstein with UWM historian Aims McGuinness. Anita says her father governed with the socialist goal to "help people, provide services and make their life better." To that end, he championed the creation of UWM and Milwaukee Public Television, expanded the downtown library and public museum, and doubled the size of the city through annexation, in an effort to relieve overcrowding. Anita says she sees evidence of the socialist mayors everywhere. Yet UWM historian Aims McGuinness says many people take their legacy for granted, because it's subtle: "They didn't slap their name all over the place. It just says 'public.'" 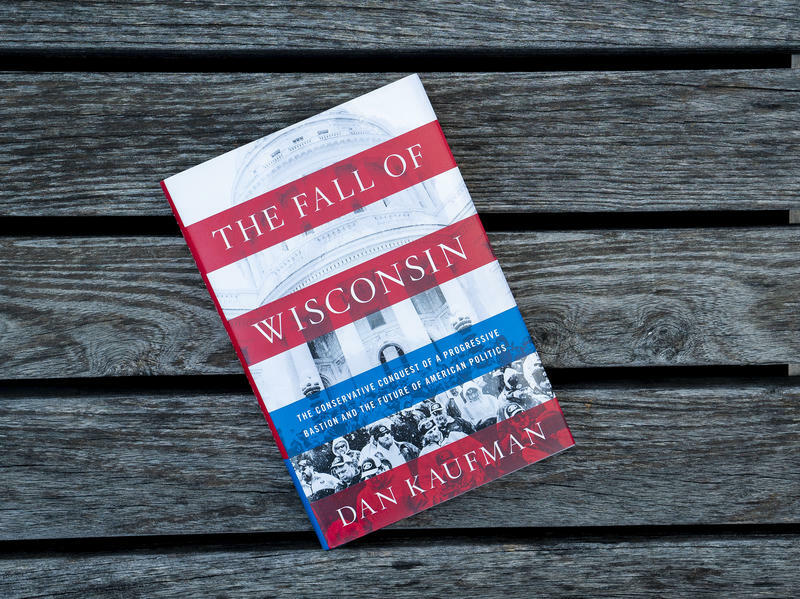 If it seems to you that political tensions are always hot in Wisconsin, your grandparents might have thought the same thing. Politics here have frequently been volatile and sometimes formative. They range from the origins of the Republican Party to Progressive politics to Socialists running Milwaukee. And residents have long split their votes along interesting lines. Tuesday night, an organization whose work is tied specifically toward civil discourse, honors the legacy of its namesake. The Zeidler Legacy event highlights not just the power of facilitated dialogue, but Milwaukee's mayor who served from 1948 to 1960. Frank Zeidler was the last Socialist mayor of a major American city and spent much of his life after leaving office as a mediator of disputes.